Dubai: Dubai has slipped out of the rankings of the best-performing luxury real estate markets, while Vancouver retains its status at the top followed by Shanghai and Seoul, according to the latest update from Knight Frank, the property consultancy. In the 12 months to September, Vancouver’s priciest real estate gained 31.6 per cent. Across the board, it’s not been a smooth ride for luxury, as factors such as higher taxes, political uncertainties and investor concerns about bubbles slowed investment flows into these assets. “Economic jitters” have taken hold, according to Knight Frank, with new taxes being imposed in Vancouver and Toronto, as well as in Sydney and Melbourne. Interestingly, all of these markets have seen intensive Chinese fund flow into properties, raising concerns that domestic buyers are being priced out. Another market to see higher stamp duty on property transactions — London — also had to worry about Brexit. Prime prices in London are down 2.1 per cent in the year to September. and the forthcoming US Presidential election,” said Kate Everett-Allen, International Residential Research at the consultancy. In Dubai, a whole set of different circumstances are at work. Developers are still feeling their way back into launching high-end projects. In the last quarter, only a handful of developers did so, aiming for locations such as the Downtown and Business Bay. But the pace of launches could pick up significantly by the start of the year, which is when locations such as Dubai Creek Harbour and MBR (Mohammad Bin Rashid) City come to the fore. So too will the Palm and the Ibn Battuta cluster. 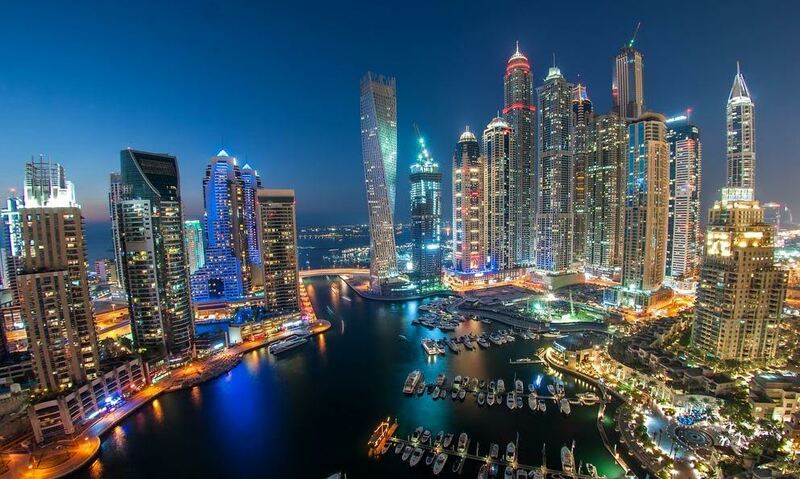 Dubai, incidentally, was at the top of the Knight Frank luxury property rankings in 2013-14. According to market sources, the best chance for a comeback would be if global investors decide there is far too much of uncertainty surrounding London’s prospects. Or if Gulf-based investors decide to keep more of their funds in assets within the region, which would then raise Dubai Realty’s prospects immediately. “Investors are increasingly looking to the US as their safe haven of choice as the world economy stutters, but a strong dollar will have repercussions globally.” the report adds. The average price of a Manhattan apartment exceeded the $2 million mark earlier in the year and “although sales activity has moderated, luxury prices in New York are proving resilient”.